RancherMan & I love the wild birds. We have a bird feeder out back that we keep filled so we can enjoy them all. 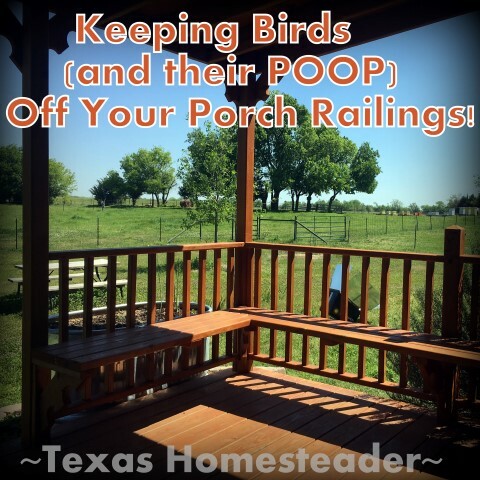 (be sure to check out my Bird-Feeding Homestead Hack where I share how we keep ’em fed on the CHEAP!) There are always a wide variety of birds near our feeder and they nest nearby too, raising their young. Oh how I love it all! I got to wondering how I could enjoy the porch & that gorgeous view and still keep everything looking natural? 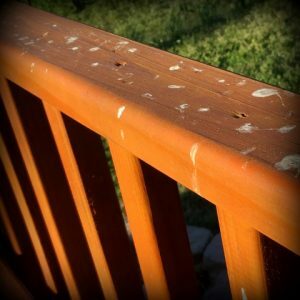 How do I keep the birds we love from pooping all over the railings? 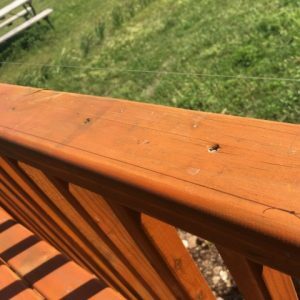 So we took some inexpensive fishing line and wrapped it around the first pole and strung it along the rail about 4″ high to the second pole. We tied it to that pole and ran another line between that pole and the next. Then we sat back to see if it would work. As you can see by the photo below, it really is almost invisible! EUREKA! It works like a charm. There are still lots of birds for us to enjoy, but they stay away from the porch now. And because it’s almost invisible it doesn’t detract at all from the beauty of our porch. Now the bird poop doesn’t detract from our view either! Want To Read More About Our Porch Extension? Stopping BERMUDA GRASS From Your Plantings! 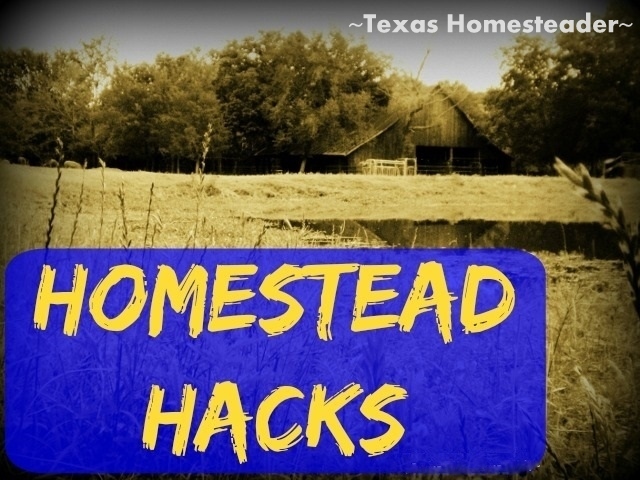 This entry was posted in Blog Posts and tagged Frugality, Homestead Hacks on September 20, 2018 by Texas Homesteader.